The UFO 3D Printed with PLA Plastic. colored lenses: you will receive 4 circular lens that can be set between the glass & light under the UFO. Alien Not Included. Since there are primary colors, they can be layered to create PURPLE, ORANGE, DARK GREEN etc. ANTENNA MINI DA 6cm Colore Nero. MATERIALE: Lega di alluminio. Ricordiamo che siete sempre i benvenuti. Regola sulla restituzione in fondo pagina. recesso prima della scadenza del periodo di recesso. 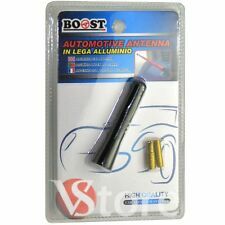 ANTENNA MINI DA 9cm Colore Nero. MATERIALE: Lega di alluminio. Ricordiamo che siete sempre i benvenuti. Regola sulla restituzione in fondo pagina. recesso prima della scadenza del periodo di recesso. Material: Kunststoff Sternen Effekt Fernbedienung CCT Schaltung, Farbwechsel DxH in cm: 60x8 . This large lantern features a mirror inside the back of the lantern. Its size makes it perfect for enclosed porches and sun rooms. Not intended for outdoor use. Light bulbs are not included. 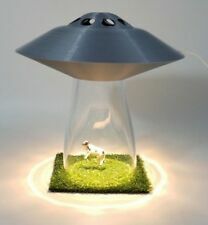 very neat design light and would accent any room nicely. Mini contrôleur RGB 12V/24V 6A télécommande 24 touches Mini contrôleur pour rubans à LED RGB avec télécommande infrarouge. Tension d'alimentation: 12V ou 24V DC (alimentation non fournie) Tension de sortie: 12V ou 24V DC (identique à la tension d'entrée) Puissance maxi: 6A 16 couleurs fixes avec réglage d'intensité ou changeantes par programmes intégrés avec réglage de vitesse. Fonction mémoire pour conserver vos réglages Connecteur d'alimentation femelle intégré Compatible Ruban Led 3528 et 5050 (uniquement RGB) Expédition rapide de France en suivi 24/48H. TRIO Leuchten Reality Leuchten Deckenleuchte Chrom Glas klar mit Aludrahtgeflecht inkl. 5 × G9 28 W Halogen 230V wechselbar. Sockel: G9. Betriebsspannung: 230 V. 5 × 28W Halogen. Idéale pour tout travail de précision (p.ex. applications dans le secteur de la santé publique) et pour usage privé. Livrée avec une lentille 8 dioptries. La lampe loupe utilise un tube fluorescent rond de 22W. Neuware in geöffneter OVP - siehe Fotos! max: 4 x 40 Watt. This lamp Features a mirrored back and glass on 3 sides on the base. The mirror lifts out of the back to allow the bulb to be replaced. base and 22" tall to top of finial. Includes a 9" x 17" x 12" lamp shade. Lampe Loupe 90 Leds 8 Dioptries Bras articulé Electris. Lentille de qualité en verre 8 dioptries. Lampe loupe équipée d'une pince étau facile à manipuler et utilisant les dernières technologies d'éclairage à LEDs. Mickey Mouse Clubhouse. Die Cut Shade. Double Shade features all your classic favorite Disney Characters. Open Box Item. NEW, Open box. Each stand 36 cm tall and is approx. Each is fitted with a low-energy bulb - light signs of use, nothing major. Look at the photo(s) carefully, what you see is what you will receive. Neuware in geöffneter OVP - siehe Fotos! 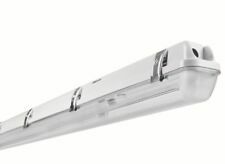 Moderne LED-Deckenleuchte aus hochqualitativem Polykarbonat. Farbwiedergabeindex 80 Ra. Ersatz für. Lichttechnische Daten. Lichtfarbe 3000K. Dimmbar Ja (durch Wandschalter). Anzahl der Schaltzyklen -. ELEGANT DESIGN: This table lamp features simple and gorgeous appearance complemented with soft light radiated through the cream lampshade. Perfect fit in your home decor.|PREMIUM MATERIALS: The lamp holder is made from solid oak wood for stability and durability. Built for long-term use.|ENERGY SAVING & EASY TO USE: Only one E27 bulb(Max. 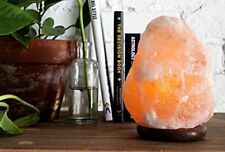 40watt) will give an elegant warm glow for your bedtime reading, clothes changing, and save the electric and money. The 1.5m long cable makes it easier to plug in various places. The touch switch makes it super convenient to turn on/off.|WIDE USE: Suitable for Bedroom, Living Room, Dining Room, Corridor, and Baby Room, College Dorm, Coffee Table, Bookcase, Study, Bar, Restaurant, etc. Create pleasant and cosy atmosphere.|DIMENSIONS: Overall Size: Φ30 x 52. Mainstays 71" Floor Lamp, Silver with White Shade. - 3 Way Rotary Switch. - Bulb not included. Large with a solid heavy base. Stainless steel. Well constructed pivot points and thumb screws. HERE WE HAVE FOR SALE A BEAUTIFUL SINGLE BULB TABLE LAMP BASE. IT CAN BE USED WITH A NORMAL CLOTH TYPE SHADE. IT TAKES 1 X LARGE BAYONET 60 WATT MAX BULB (not supplied). Guarda la scheda dati prodotto. Efficienza energetica e scheda dati prodotto. Attacco Lampadina: E27. 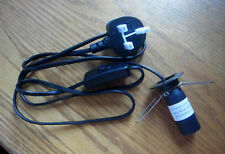 The lamp holder is a standard bayonet fitting, good length of cable with on/off switch and a plug. Each is complete with a digitally printed fabric shade featuring the New York skyline at night that creates a warm welcoming glow when lit. Each lamp requires a 40W Max E14 light bulb and is suitable for use with low energy or LED bulbs. Colour your world with light with LivingColors Iris. Complete with integrated 10 W LED bulb. 1 x Iris light. 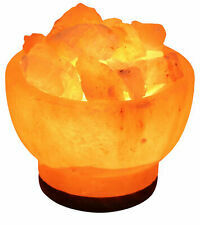 Choose from 16 million colours Adjustable colour intensity, dimmable light with automatic colour changing mode. West Elm Industrial Lamp . Sold as is. Candle sits inside of the candle stick on the top of spring. Brassed candle stick. Decorated white glass shade with frilled edge. HERE WE HAVE FOR SALE A BEAUTIFUL DOUBLE BULB TABLE LAMP BASE. IT CAN BE USED WITH A NORMAL CLOTH TYPE SHADE. IT TAKES 2 X LARGE SCREW 60 WATT MAX BULBS (not supplied). AND IN THEIR ORIGINAL BOXES. Vintage Tiffany Style Stained Glass Dragonfly Table Desk Lamp Amber White 23"
Vtg Table 3 way Touch Lamp with Floral Glass Panel Shade.